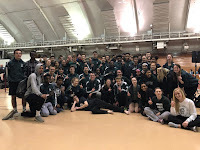 The Madison Memorial track & field team kicked off their 2015 spring break by competing in the Madison Indoor City Championships at the UW-Madison Shell. 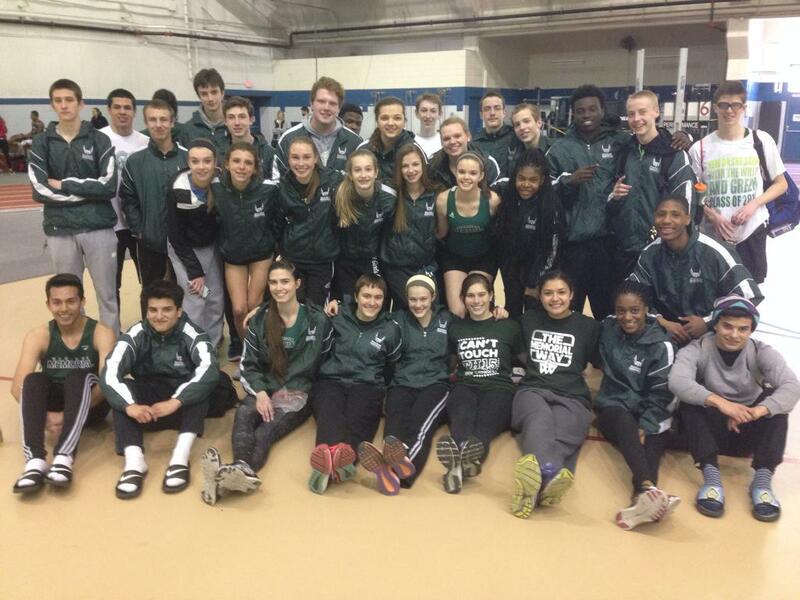 A dedicated group of boys & girls track athletes competed at a high level winning both the Boys AND Girls Madison Indoor City Championships, sweeping both competitions for the 2nd year in a row! The girls team accumulated 87 points, scoring in 13 events, winning 6 city championships to win their 24th Madison Indoor City Championship. The boys team earned 98.5 points, scoring in 12 events, winning 8 city championships to win their 20th Madison Indoor City Championship. Both teams enjoyed some early season success at this meet but have lots of hard work ahead of them to reach their season goals. The competition will only get harder as the season moves forward. It will be important for each individual to push themselves daily to make themselves & their teammates better. #MakeEmBelieve. Sarah H - High Jump - 4' 10"
Daine R - Pole Vault - 6' 0"
Holly H - Shot Put - 36' 1.75"
Hunter P - 55m hurdles - 8.41 & high jump - 6' 2"
Dondreon C - Pole Vault - 10' 6"
Jezell T - Long Jump - 21' 6"
Cole W - Shot Put - 43' 4.25"
Other athletes finishing in the top 5 and scoring points for the team include: Sierra H 3rd in the 55m dash (7.88) & 5th in the long jump (14' 9.25"), Sarah H 5th in the 200m dash (28.93), Sydney P 4th in the 800m run (2:38.54), Siena C 4th in the 1600m run (5:43.90) & 4th in the 3200m run (12:24.26), Izzy O 5th in the 1600m run (5:47.96) & 3rd in the 3200m run (12:13.01), Phibi M 2nd in the 55m hurdles (9.78), Mariah OF 3rd in the 55m hurdles (10.09), 4th place by the 4x400m relay (4:35.80), Dani F 2nd in the pole vault (6' 0"), and Sydney H 3rd in the shot put (30' 4"). Jezell T 5th in the 55m dash (6.93) & 3rd in high jump (5' 4"), Kaydee S 2nd in the 200m dash (24.85), Alex A 4th in the 400m dash (55.14), Lance D 5th in the 400m dash (57.25), Jonas B 4th in the 3200m run (10:24.39), Casey GT 5th in the 3200m run (10:25.11), 3rd place by the 4x200m relay (1:41.33), 3rd place by the 4x400m relay (3:47.27), Austin W tied for 5th in high jump (5' 0"), Zach O 2nd in the pole vault (9' 6"), Tommy K 5th in the pole vault (8' 0"), & Van T 4th in long jump (18' 7.5").